It's never too early to start teaching children about world geography. Use this free matching activity to introduce the 7 continents. 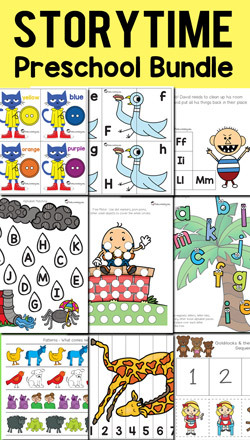 This FREE continents matching activity is a great way to start learning about the different continents. Even preschoolers can learn to visually recognize the world map and the shapes of each continent. For younger children and toddlers, I recommend that you laminate this activity in order to make it reusable. For scissor skills practice, children can cut out the continents and glue them in their correct location. 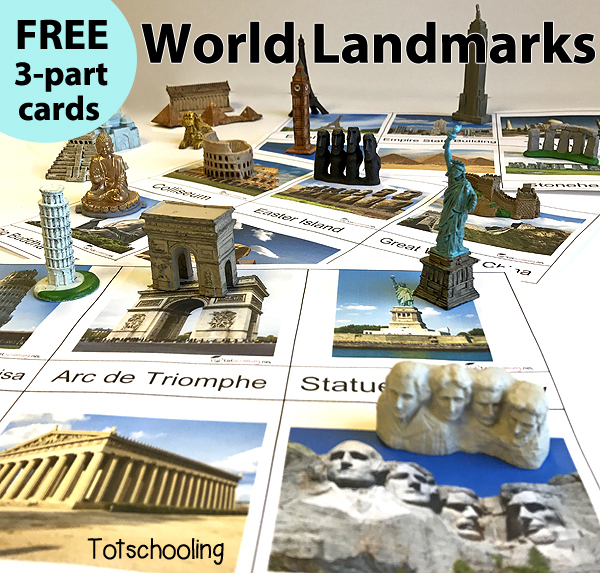 If you enjoyed this activity, you may also like our Free World Landmarks 3-Part Cards. Hi! The way that you can do it is to print 2 copies of the black and white map, then color the continents on one copy and cut them out. I want to thank you so very much for sharing your work with others. I have been retired from public school teaching for 15 years. I am currently working with preschool children in my home. I have used your materials for about a year. They are refreshing and fun. I am able to give more time to my students because you have done the hard part. Thank you. Thank you. God bless. Thank you so much for the kind words! I'm so glad you enjoy the resources. thanks a lot it's perfect for my little students !